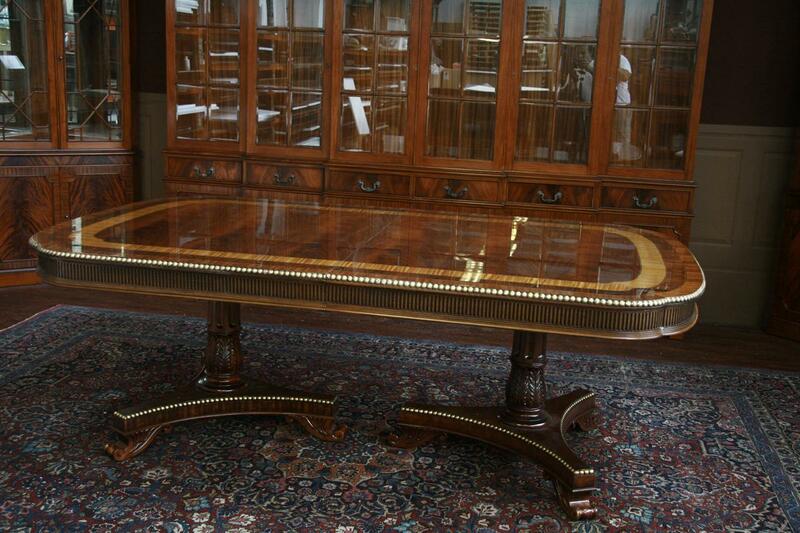 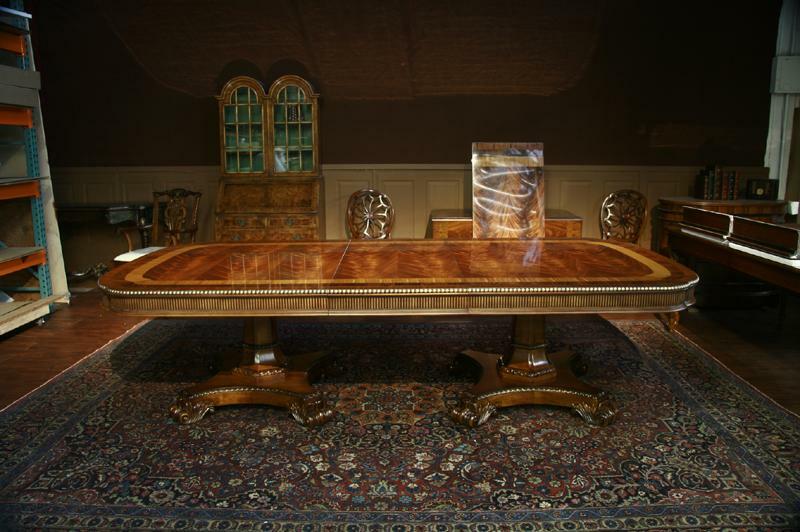 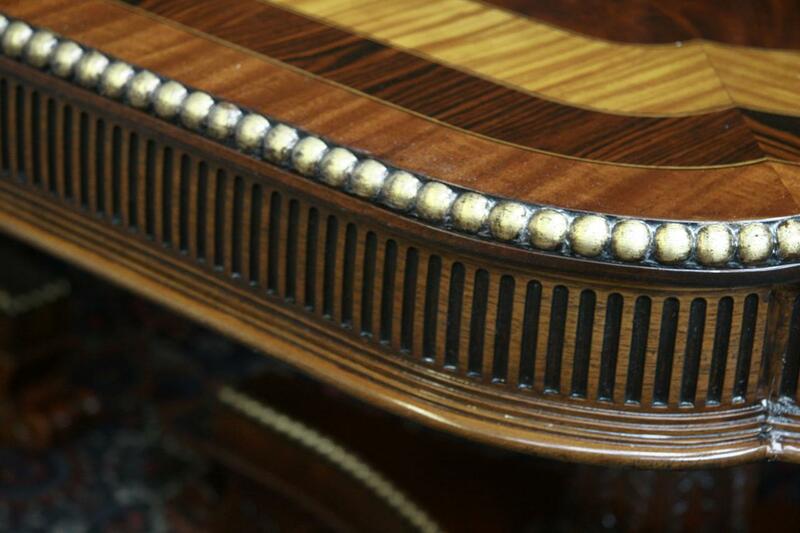 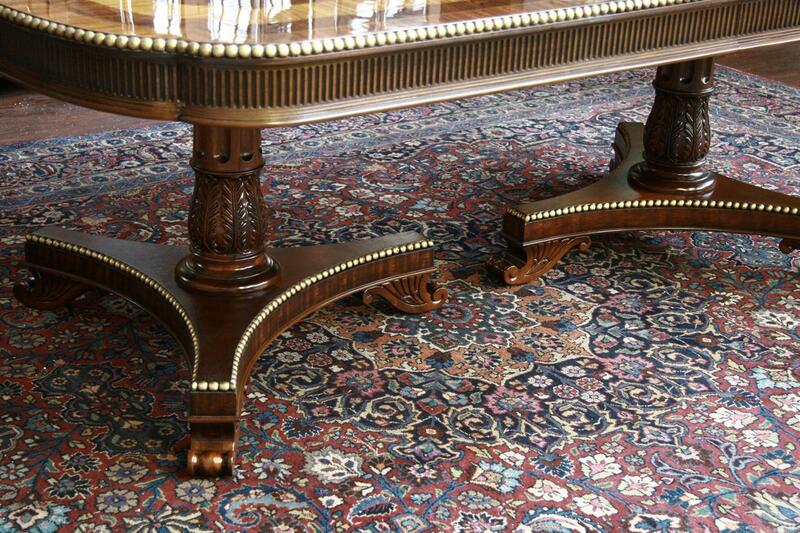 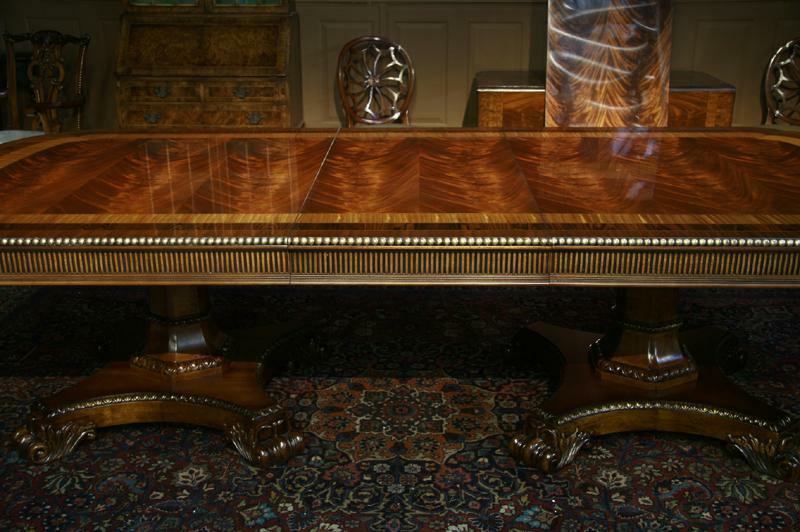 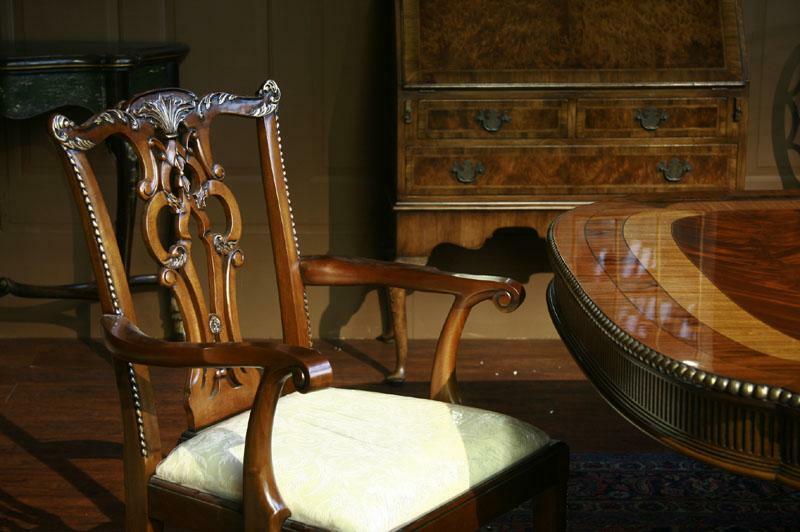 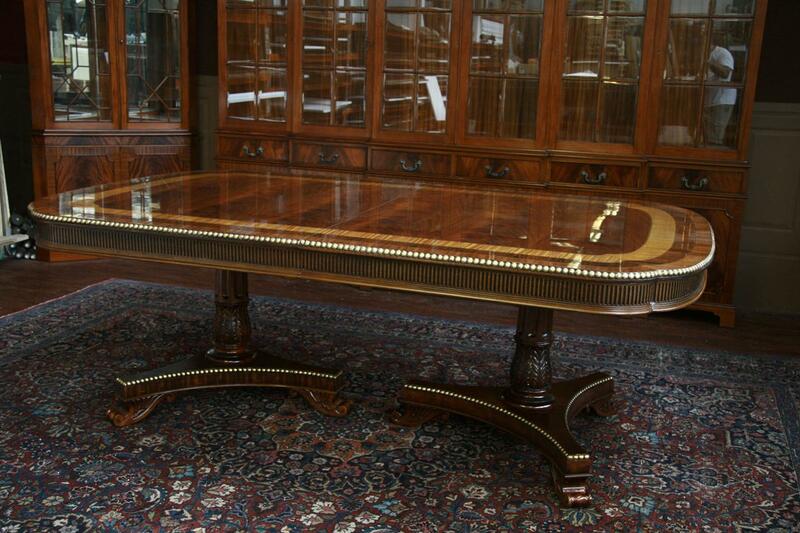 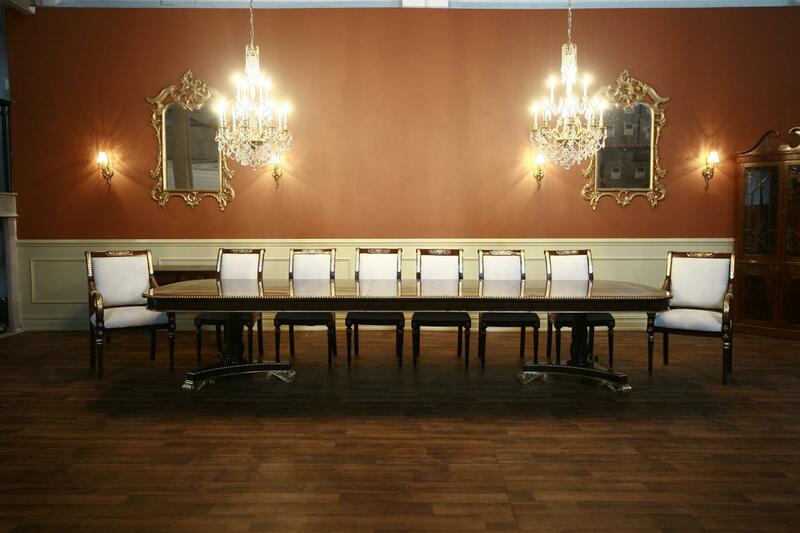 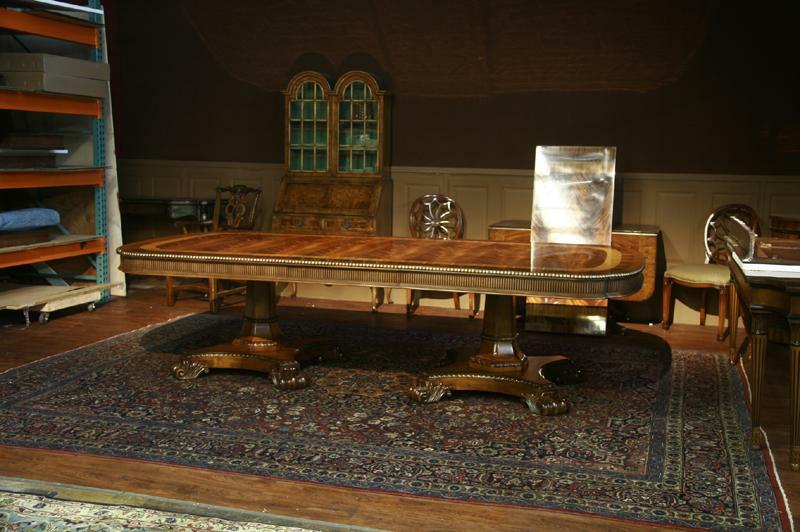 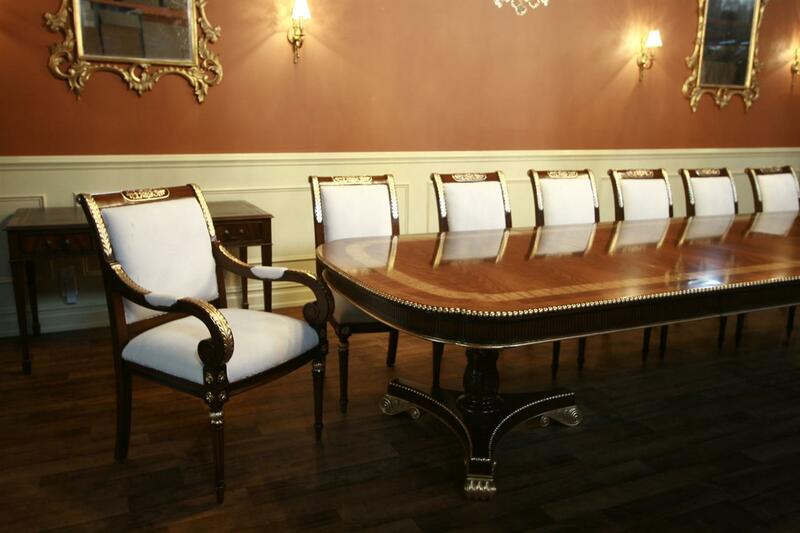 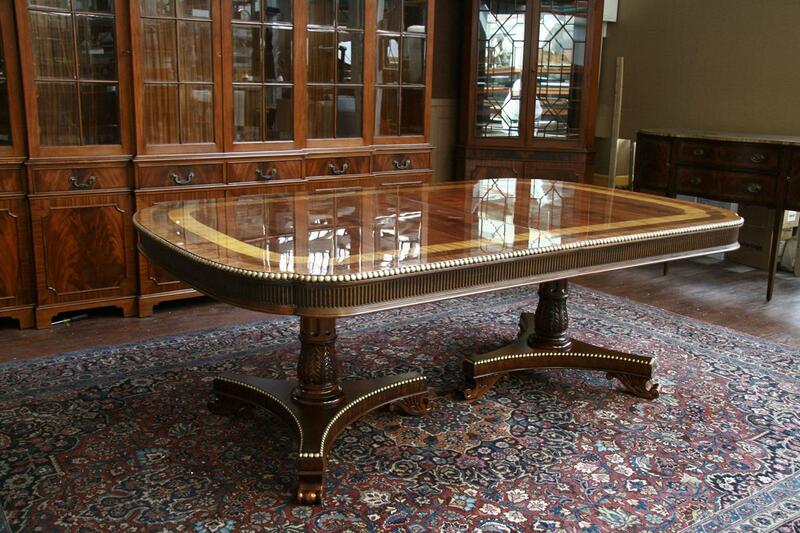 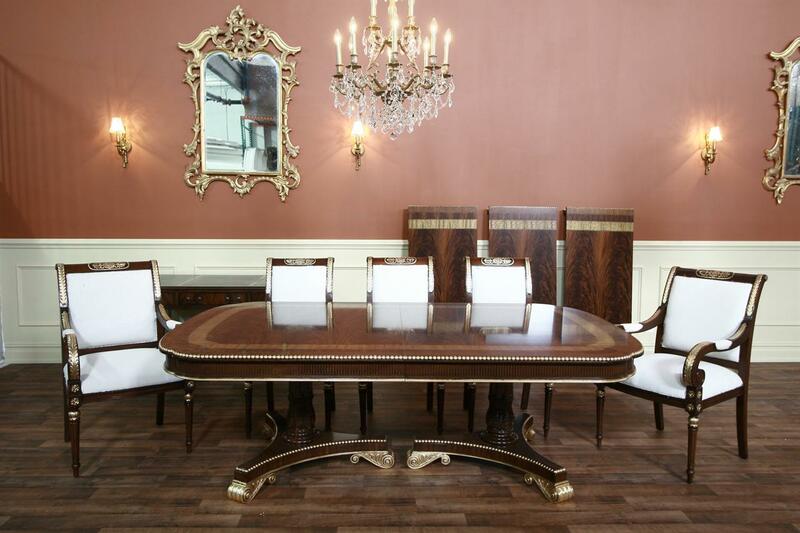 Description: American made long mahogany table 54" wide. 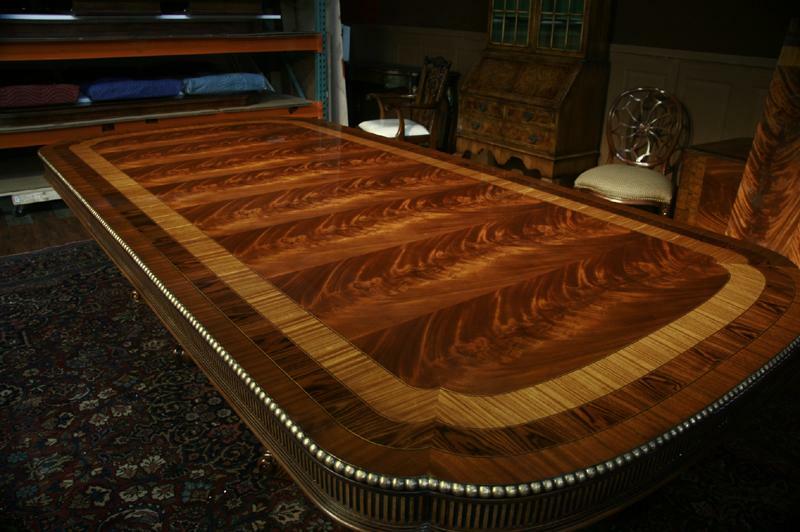 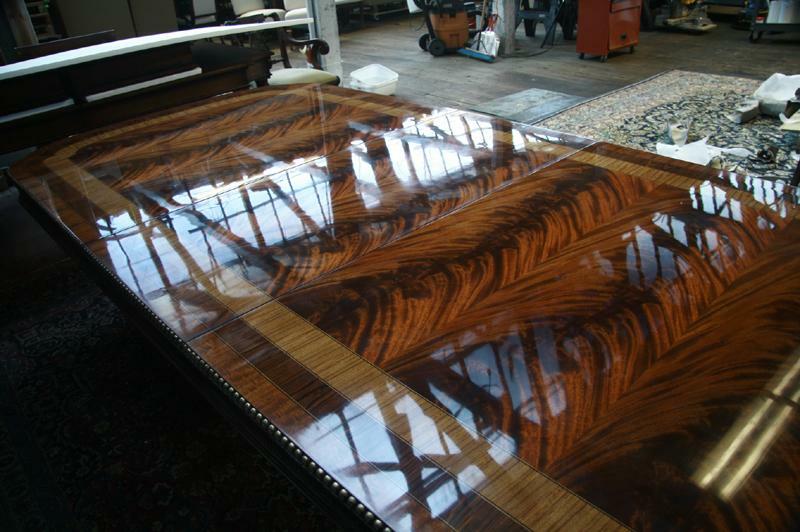 This table is spectacular. 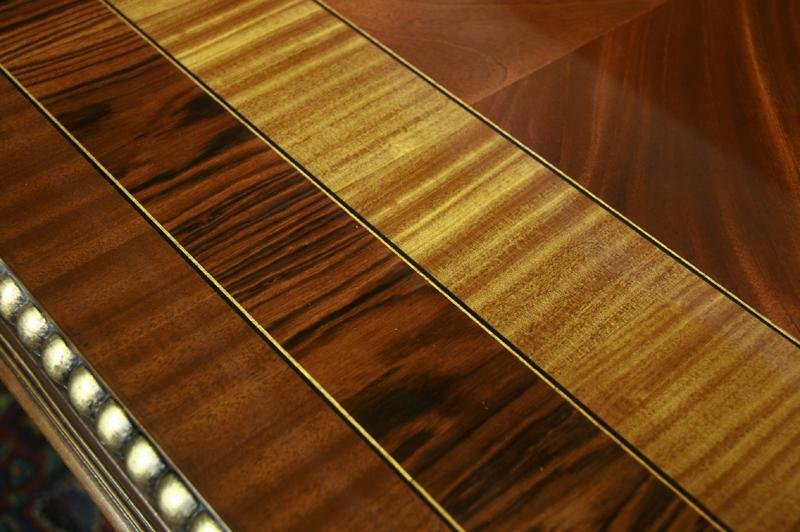 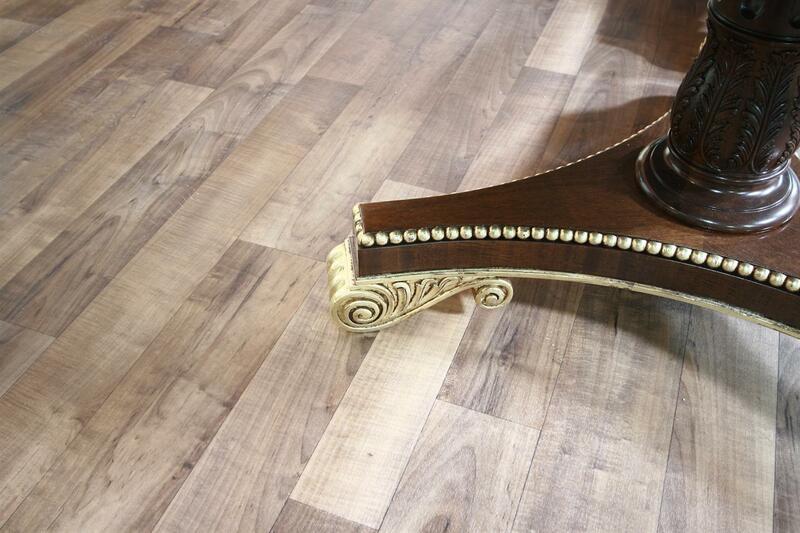 It has a deep natural color finish which captures light nicely. 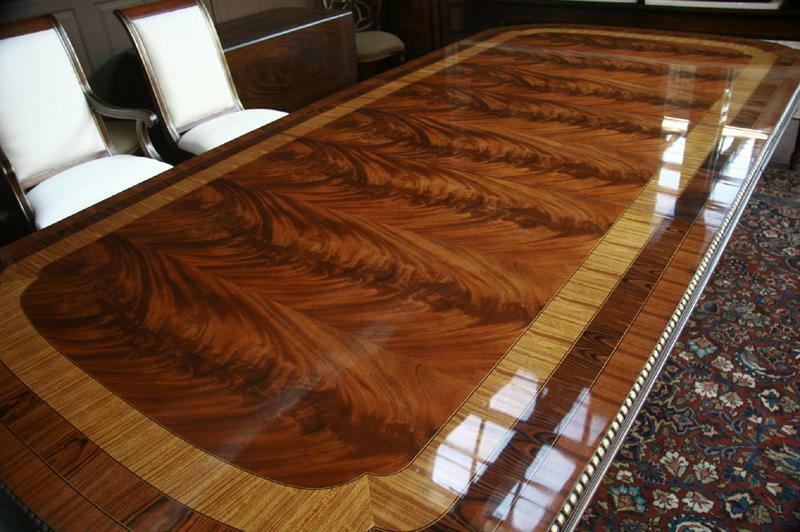 The Veneer patterns are deep and rich, and as you walk around the table the patterns change from catching light from different angles. 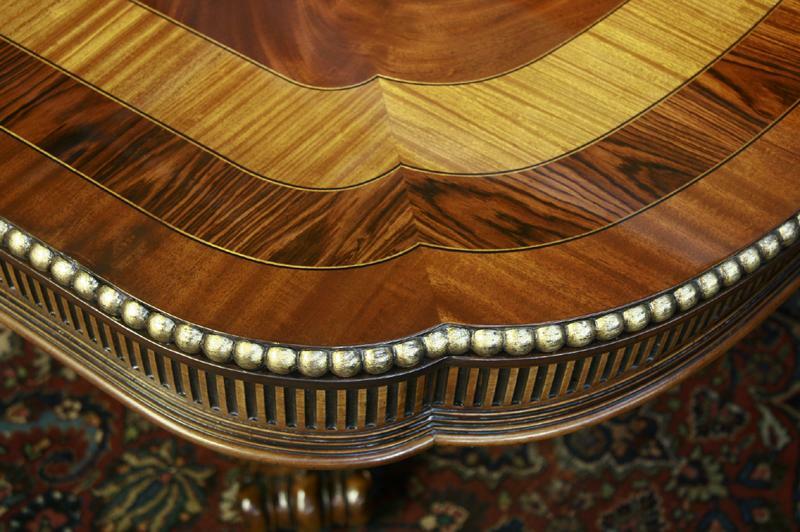 Table has great depth. 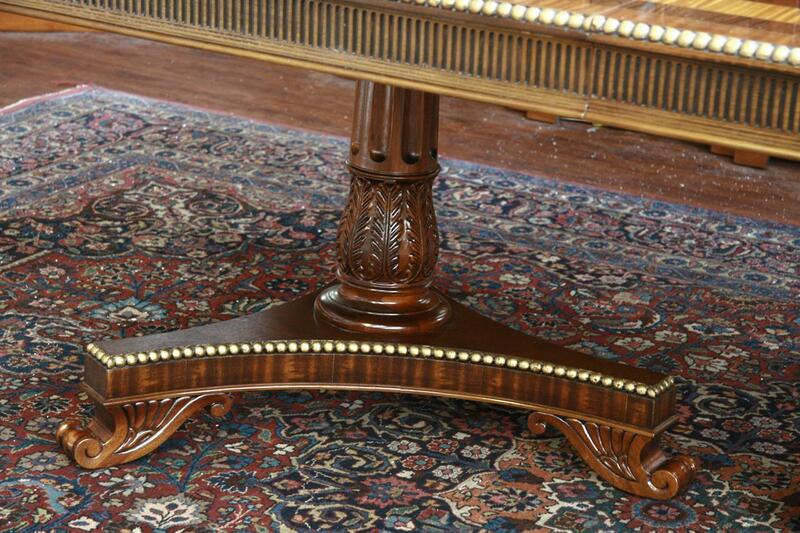 Apron is richly carved with real gold leaf accents. 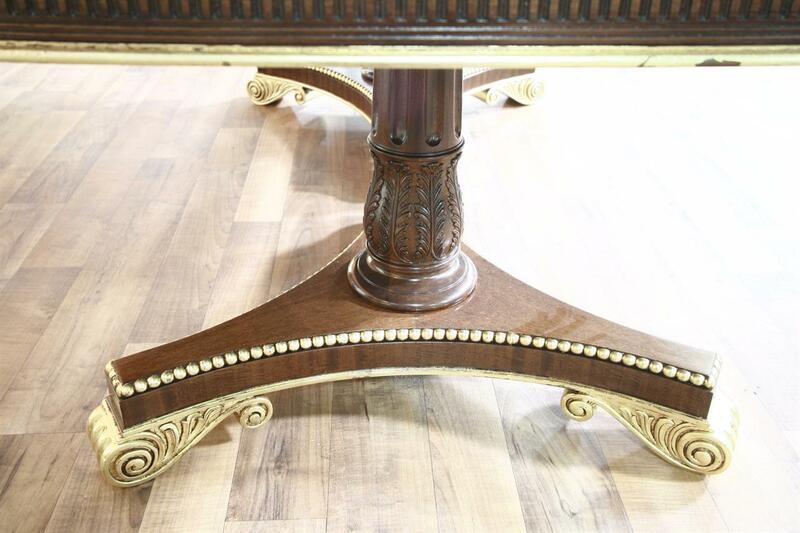 The last few pictures show factory original pedestals.